Is peace finally on the horizon in Afghanistan? The Eid ceasefire demonstrated the viability of peace – but it weighs numerous competing interests. The Eid al-Fitr ceasefire, observed by both the Taliban and Afghan security forces, gave Afghans a rare but cherished taste of normality. Although fighting has since recommenced, some analysts hope that the success of the temporary truce will build momentum for peace. – The stalemate that has gripped Afghanistan for over a decade has driven sporadic attempts at negotiations. While there are many obstacles to getting peace talks started, their prospect should not entirely be ruled out. – If talks do commence, achieving peace is an entirely different ball game and negotiations are very unlikely to be successful under current circumstances. – Rather than commencing peace talks in earnest, the Taliban may play for time, banking on an eventual US exit from Afghanistan. The nationwide ceasefire — unprecedented in the seventeen-year conflict — was a pivotal moment for Afghan President Ashraf Ghani’s, who is determined to finally end the violence. In February 2018, Ghani offered the Taliban talks without preconditions. Dangled before the fundamentalist movement was the possibility of political recognition, power-sharing and, crucially, changes to the Afghan constitution, the legitimacy of which the Taliban has long rejected. The emergence of ISIS in Afghanistan — who claimed a suicide attack that killed nineteen in early July — has underscored the need for cooperation and national unity. The recent spectacle of ordinary Afghans marching across the country demanding peace also suggests that Ghani has a strong mandate. Some regional developments also portend favourably for the resumption of peace talks. Pakistan, a key provider of logistical support and sanctuary to elements of the Afghan Taliban, has officially and vocally welcomed Ghani’s offer. Islamabad knows that if peace were successful, as part of the Afghan government, the Taliban would — at least theoretically — be in a good position to safeguard Pakistan’s interests. Looking to protect the security of its restive Xinjiang province and the region’s Belt and Road projects, China has also been increasingly involved in the Afghan peace process. Although Chinese mediated talks between Ghani and the Taliban in 2015 made little headway, Beijing has considerable leverage over Pakistan, through which it could exercise influence to ensure that Islamabad remained committed to peace. Off the back of these favourable dynamics, elements of the Taliban have quietly expressed interest in negotiating with Kabul. Despite the momentum injected into the peace process, it is far from assured that talks will get off the ground. Irrespective of the popularity of the ceasefire — or perhaps even because of it — the Taliban refused Ghani’s offer to extend the truce. Just three days after the ceasefire’s end, thirty Afghan soldiers were killed in Taliban attacks. Soon afterwards, Ghani officially ordered security forces to recommence operations. The respective positions of each side makes it difficult to see how negotiations will commence. Not wanting to recognise the legitimacy of the Ghani administration, most Taliban factions favour direct negotiations with the US. For its part, Washington does not want to cut its Afghan partners out of the negotiations, while also expressing scepticism that any agreement reached solely with the Taliban would be palatable or sustainable. The lack of unanimity in the Taliban position speaks to another obstacle to talks: Taliban factionalism. 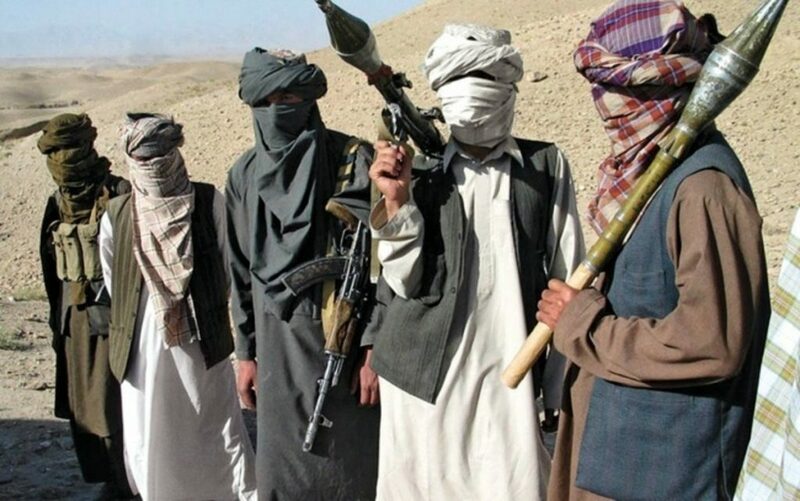 The present-day Taliban consists of four main Shuras (leadership councils). Sporadically engaged in internecine fighting, three of the Shuras do not recognise the authority of the formerly dominant Quetta Shura. Factionalism raises the logistical problem of who to negotiate with, as well as raising the possibility that talks, once begun, could easily be derailed by a rival Shura. Further complicating matters is the fact that both the Taliban and the US — the latter of which has long since come to favour a negotiated settlement as its endgame — want to negotiate from a position of strength. This is exactly what Trump’s Afghanistan strategy, unveiled in August 2017, set out to achieve. However, Trump’s strategy has failed to make sufficient headway. 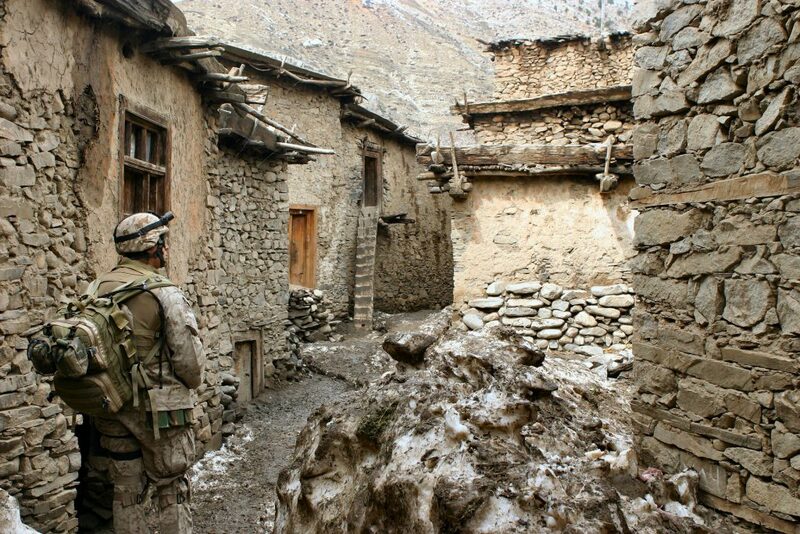 Conversely, the Taliban controls more territory than it has at any time since 2001. Yet, because of the Taliban’s desire to negotiate directly with the US, it seems unlikely that the fundamentalist movement will readily enter into direct talks with the Afghan government — the group views the Kabul administration as a puppet of Washington. The US position may be starting to soften, as Secretary of State Mike Pompeo pledged that Washington would be willing to enter into discussions with the Taliban about the ‘role of international forces’ in the country. 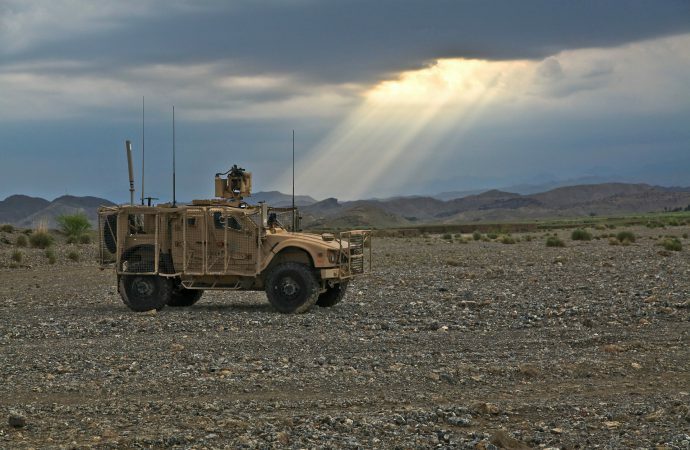 These initially bilateral discussions could then be expanded to include the Afghan government, thereby giving the Taliban a face-saving way of negotiating with Kabul. Washington and Beijing could also at least theoretically, cooperate to push Pakistan to do more to get the Taliban to the table. If one Taliban faction enters into negotiations with Kabul, others — wary of possible US divide and rule tactics — may follow. Yet, while possible, these scenarios are far from certain to materialise. In the absence of talks on their terms, the Taliban may be tempted to play the long game, biding their time before the seemingly inevitable US exit. Even if talks between all the relevant parties do get underway, there will be no shortage of potential sticking points. To start with, any peace deal must include a power-sharing deal that is palatable to the Taliban’s various factions, the Afghan government, the Afghan people and external players like the US and Pakistan. This would be no mean feat. The US will not accept any deal which empowers the Taliban to the extent that Afghanistan could again become a safe-haven for international terrorism. After years of violence, many Afghan people — especially minorities persecuted by the Taliban like the Hazaras — would be very uncomfortable about seeing the Taliban in public office. For their part, it is unclear whether the Taliban would accept becoming a political party, at least in Afghanistan’s current political system. The Taliban wants to return Afghanistan to an Islamic emirate style of government which they would rule. The insurgent movement would also likely seek to redraft the constitution to install Sharia law and significantly curtail women’s and minority rights. These constitutional changes would face tough opposition in Kabul and Washington. The Taliban’s unpopularity means that they would likely be settling for far less than they desire in any power-sharing agreement. The presence of ISIS also makes compromise difficult, as the Taliban would be wary of concluding any deals which could spark an exodus of disgruntled foot-soldiers to the rival movement. The only deal that they would consider accepting — such as being granted control over the areas of the country that they currently occupy — is an offer that the US and Kabul would be highly unlikely to ever make. Finally, there is the issue of the future of US troops in the country. The Afghan conflict has long since become regional in nature, and Russia and Iran have both covertly supported the Taliban in order to push the US from their near abroad. China too fears a permanent US presence in the energy-rich Central Asian region. Whether Washington seeks such a presence is uncertain, but perceptions that it intends to stay regardless of talks could lead regional powers — as well as the Taliban — to spoil the peace process in the hopes that prolonging the insurgency will drive the US out. Compromise is always possible, especially if there are significant shifts in the balance of power. Yet, based on current dynamics, even if talks begin in earnest, do not expect peace to come to Afghanistan any time soon. Because of their radically different agendas for the country, it is difficult to envisage that President Ghani and the Taliban could agree on a power-sharing and constitutional agreement acceptable to both sides.